Thread: I want this !!!!!!! Re: I want this !!!!!!! Since you use your house batteries to power the grooming equipment and they are recharged by the engine (I assume), they might prove problematic for your business. We are completely self contained and never use client's water of electricity. Actually we are psudoelectric in that we use a bank of deep cycle batteries and an high end inverter to power all the equipment. The batteries are recharged through the diesel engine while driving or at idle. I was talking with our upfitter yesterday about this as a future solution and he is already working an a power management subsystem that would work off the Electric Van. Last edited by Joe (SoCal); 04-12-2019 at 12:21 PM. I don’t get the attempt to make all electric delivery vehicles in the US unless it’s innercity with air pollution problems and no freeway driving. A hybrid would make a lot more sense. Lots of torque for stop and go traffic in town and just enough hp to get up to highwayspeed. Re-read what I said. The batteries that run the equipment (your house batteries) are recharged by the vehicle engine. You're using a lot of juice which means it's going to take on hell of a battery pack to run the equipment for a full day and still have power to drive about. Anythought about solar panels for trickle charging when vehicle is sitting? I suppose dollarwise it makes sense to just pay attention to battery condition and rely on those big alternators. I was confused with the "House" part of the batteries, sorry. Yea there would be two systems the battery that runs the powertrain and the bank of batteries that we currently use . One solution that other groomers use is a small diesel generator to supply power or just juice the deep cycle batteries. Seems like a generator would somewhat defeat the purpose. Although the engineer / owner of the upfit company we have works directly with MB and is talking to them about configs that I don't even know about yet. I think the logic is in thinking ahead to the not too distant future when fossil fuels become a scarce commodity. Get ahead of the curve with the technology. Currently cost $80 to fill each van, since we run 7 days a week they get filled a minimum 2 x a week. $80 x 4 = $360 x 2 = $640 per week minimum = $33,280 annually. Each van needs DEF fluid for emissions @ $24 per van per month $1,152 per year. Not to mention oil MB Sprinters oil is $$$$$ , maintenance etc. It makes A LOT OF SENSE to me. Ideally, it would be nice to run all electric. I wonder how well a 2 pack system would work: one to travel around with and one to run the equipment. They would have to be isolated from each other. The real problem is the load req. Dryers and pumps and vacuums, draw a lot of power. I agree a good power transfer system between the Lithion and equipment would be amazing. My thinking is we wouldn't need the range of the Tesla Semi currently spec at over 500 miles. If we could use the same power but drop the rage to half that and use that 250 range to power the equipment I would be cool with a 250 mile range and completely battery system. Keep in mind we would keep a bank of fast chargers at the building we are moving into in a month. The vans would be plugged in at the end of every day. We are not driving 250 miles a day. And I happen to know the expert consultants those minds talk too. The industry expertise is a somewhat insular environment. I recently did a write up on an article about semisolid lithium batteries. The contain twice the energy density of liquid one. If the can solve their charging issues (they are currently limited to 200 recharge cycles) they might e quite useful. Except those numbers have nothing to do with the cost and engineering of a battery pack approaching the capabilities of your engine and fuel tank. You could always put in a bank of Lithium iron phosphate batteries to run the equipment. Currently they run about $650 a kilowatt. Figure out your needs for a day of running the equipment and size the bank accordingly assuming 85% draw down. Run the equipment during the day and charge at night. 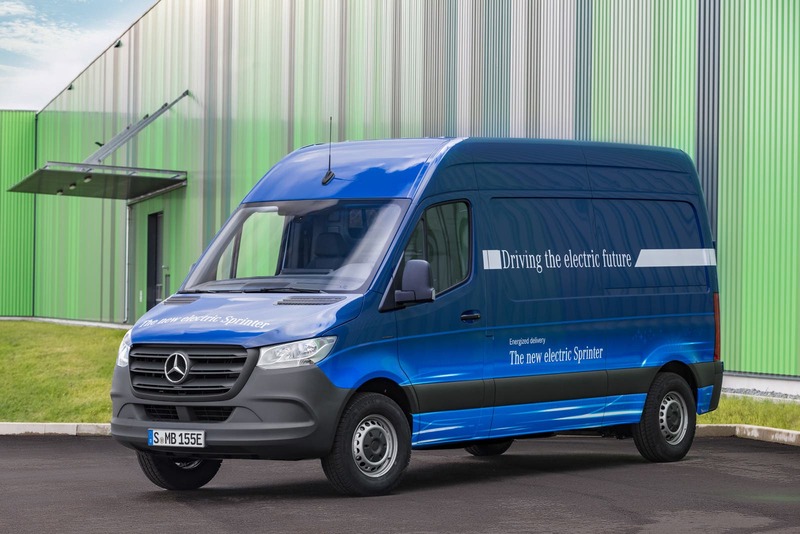 Of course then you need to factor in the cost of setting up and maintaining a charging station for each van for the propulsion batteries and for the equipment batteries. Except the challenge isn’t technological but behavior and policy. If you are anticipating less or more costly fossil fuel energy in the future then price it higher so less is used now with existing technology. Instead of trying to have a $35k EV car approach less than half the capability of a $18k ICE car price gas higher to reduce use and make the electric attractive, albeit with 70% fossil derived electricity. Right now EV sales are significant in the Netherlands, not so in the US because policy encourages low cost fuel. Joe you clearly have some over current heating issues with the cable going from the solenoid to the fuse. Either that or someone went wild with a heat gun and melted the insulation on that cable. You need to replace that cable with a larger cable. that reminds me. I had a dog on the east coast and a boat on the west. Even after my daughter took custody of the dog there were little drifts of black lab hair on the cabin floor after each visit just from taking washed clothes out of my travel bag. That cable was replace there is a whole thread on this if I can dig for it. The photos are part, but not all of the fix. The problem stemmed from improperly crimped cables from the factory that upfits these vans, they paid for the new batteries and ALL new properly crimped cables. The van has been running for over a year perfecty, again with monthly inspections. While the numbers appear large, it is the cost of doing business. Upgrading the vans to electric might be expensive. And the generators you are going to be using also require fuel and maintenance. A more important number is how much is left at the end of the year. I would suggest that before you get too far into planning that you put watt hour meters on your equipment so that you have some idea of how your electric power needs vary. What if you install wind turbines on the roof of the van to charge the house batteries while it’s in transit to the next location? It depends on the duty cycle of the vehicle. If the van is parked for prolonged periods, it will need recharging, but recharging while parked using the van engine is inefficient, the engine is too large for driving just the alternator, wasting a lot of energy in internal friction and heat. In that case a generator may be more efficient, assuming the generator engine is designed to the same efficiency standards as the van engine with closed-loop electronic controls; Most generator engines are not that sophisticated, but if a diesel generator (always running excess air), sophisticated mixture control is not needed so the generator engine may be as efficient as the van engine. The van engine is also inefficient at part throttle on the highway, that is the purpose of a "series" hybrid, run the engine hard to power the batteries then shut off the engine. (Or, use a smaller engine for better efficiency and assist it with battery/motor drive power ("parallel" hybrid).) But, driving the van on the highway, while simultaneously charging up the battery banks, may be efficient, because of the combined load. In general for electric vehicles: They are excellent for emissions in places like L.A. where the air pollution is held in place by bordering mountains, and electrics are much more efficient in stop-and-go traffic; When stopped, electrics are off, except perhaps for accessory power such as air conditioning and radio. In terms of general efficiency, electrics are hurt by the fact that 80%(?) of electric power is lost in transmission to resistance (heat). We haven't improved this with better conducting transmission wires, however with cleaner power generation you can put the power plants closer to the end user to reduce transmission loss. With solar cells on the roof of your home, business, or the van itself, the transmission losses are practically zero because the power is transmitted feet instead of hundreds of miles. That's a benefit of solar that a lot of people don't grasp.